IP Inclusive’s Careers in Ideas initiative is an outreach campaign aimed at raising awareness of IP-related careers. We created it because we recognised that in order to raise diversity levels within a profession, you also have to raise them upstream, in the pool of people you recruit from. 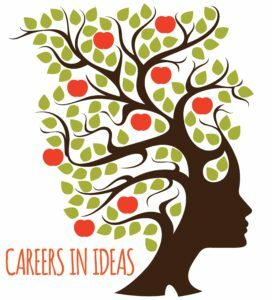 Careers in Ideas aims to widen that pool by making more potential recruits, from a greater range of backgrounds, aware of the IP professions. The Careers in Ideas resources are targeted at school, college and university students and their teachers and careers advisers. They include a website, which provides information on a wide range of IP-related careers, and a downloadable information booklet, poster, “opportunities map” and Powerpoint® presentation. The resources are free for anyone to use in promoting careers in IP, whether in the education, careers or outreach sectors or from the IP professions themselves. For example we encourage IP professionals to take the resources with them when they visit schools, universities and careers fairs. We have also created a work experience resource pack, to help you create a work experience event of your own, which you can download here. The Careers in Ideas website also carries an “opportunities board”, listing open days, work experience placements, internships and other similar opportunities; and personal “My Career in Ideas” stories from IP professionals. Careers in Ideas also has a Twitter presence (@CareersInIdeas); it tweets news about recruitment and outreach initiatives relevant to the IP sector and can help to promote appropriate opportunities to a wider audience. We officially launched Careers in Ideas at a reception in April 2018. We’re now building a network of organisations and individual contacts through whom our careers resources can be disseminated, or who might collaborate with us in opening up the IP professions to a wider pool of recruits. This work is being co-ordinated by a Careers in Ideas “task force” established in March 2019. If you would like to be part of that task force, join our network of helpers and contacts, or help in any way to spread the word about the IP professions, please email the task force leader Chris Burnett or the dedicated Careers in Ideas email address. You can also find out about Careers in Ideas activities from our main Events and News and Features pages.